So we embarked on the epic project of getting ourselves, our two cats, a car and a home filled with furniture (and quite some gadgets) across the big old U.S. all on our own. I was no stranger to big relocations — I’ve lived in Philadelphia, Washington DC, New York, and even spent a year studying abroad in Chile, back in college. But this time around, things were different. I couldn’t just call a few pals to help schelp my stuff, and I was unwilling to leave everything behind and furnish my new place with milk crates. This wasn’t going to be easy. Thankfully, we have some modern tools at our disposal. For anyone who is contemplating making a big move like this or is simply interested in what it took to make this major relocation happen, my account follows below, including some online resources, apps and gear that were crucial in this experience. It’s a pretty weighty read, but it’s broken up into sections, to make it easier for you to hop to the area you’re most interested in. Hopefully it will help others who find themselves in the same boat. The method: Scour online resources to come up with long-distance furniture movers, car transport providers, pet transport and best airfare deals I could find. 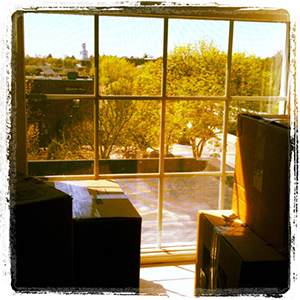 Pack necessary gear, then secure short-term housing, car rental and apartment lease. More online research revealed alternatives like PODS, U-Haul U-Boxes and U-Pack ReloCubes. These storage spaces allow people to pack items at their leisure and move them into the units. Then once finished, the related company picks up the units and transports them to the new location. I also looked into Uship.com, an eBay-like marketplace where transport providers compete to bid on freight jobs. Ultimately, though, I decided to go with traditional long distance mover for my LTL (“less than truckload”) situation. But choosing one was a difficult task. There are plenty of moving companies out there, and many with less than sterling reviews. I scanned messageboards, review sites and other online locations — including a search at the Better Business Bureau — and I saw a number of horror stories. From Angie’s List to Yelp, many, many people related accounts about long distance movers who damaged or lost their items, slapped on bills that far exceeded the estimates or held the items “hostage” until their inflated costs were paid (and in cash, no less). I seriously considered renting a U-Haul and driving everything out there myself — and plenty of people do just that — but wound up settling on United Van Lines. It was reasonably reputable national carrier and, it turns out, some friends had used the company, so it came with a personal reference. Of course, I did the requisite research anyway — did a BBB search and found no outlandish complaints, online reviews were generally good, and the representative came to our door and gave us a binding estimate. That last one’s key. You might be tempted to go with a company who only requires you to fill out an online form to “guesstimate” the amount of stuff you have, but those Internet estimates are rarely accurate. Even if you first contact them online, be sure to have one of their reps come to the premises, so a professional can really give your stuff a good eyeball. End result? The bill for moving us out of our 1,100 square foot apartment was about $7,000. Not the cheapest, but it was definitely not the most expensive either. The process wasn’t perfect, as a couple of items got a little scuffed, but they didn’t destroy a single thing and the amount we were promised was exactly the amount we paid — no hostage negotiations involved. So I needed alternatives. I Googled “car transport,” and then filled out one of those online forms that has dozens of service providers emailing and calling. Wowsers. When piranha sniff blood in the water, they go in straight for the kill, don’t they? Good thing I created an email alias and used a separate Google Voice number just for this purpose. Side note: Did you know that you can tweak your Gmail to create an alias? Say my email address is [email protected]. (It’s not, so please don’t bother emailing me there.) I can use [email protected] or [email protected], and it will all end up in my inbox. Then when I’m done, I can filter out any messages to these aliases, so they go straight to junk mail or get automatically deleted. Take that, spammers. Ha! And Google Voice call routing was easy enough to turn off when the job was done. Easy peasy. So armed with that, I filled out the form with impunity. And predictably, I got inundated with quotes and offers. I was hearing fees ranging from $1,700 to over $3,000, just to move our Honda Accord to the Bay Area. I thought, “There must be some way to vet these companies, and see what other people’s experiences with them have been.” And you know what? There is. I used TransportReviews.com to access customer reviews on the various transport companies, and using that, I managed to eliminate most of the vendors who reached out to me. I wound up choosing one that was not the cheapest — I’m always leery of vendors who promise impossibly low prices — but it was definitely in the affordable range. And they transported the car over 3,000 miles without a scratch, for hundreds of dollars less than most of the competitors, with an incredibly fast turnaround. Huzzah! 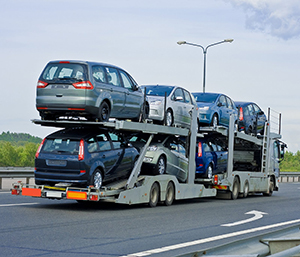 If you need to transport any type of automobile, consulting TransportReviews (and the BBB) should definitely be on the “to do” list. Most major airlines have some sort of service for pet transport, as many people like to travel with their animals. Some passengers put small animals in airline-approved pet carriers that stow under the seat. Others put them in cargo, so they travel in a separate area from the main cabin. The size, age and health condition of the pet can determine which option is appropriate. It’s also important to find out about specific traveling conditions — you want to avoid any horrible disaster when it comes to Fido or Scruffy. Some airlines post the info online, while others require that you contact them directly to learn about options. I was also amazed to discover that there are third-party specialty pet transport services. Some owners spend a small fortune to have their pets pampered en route to their destinations. (There are too many to list here, but just Google “pet transport” for a list of various services.) We chose to ship our cats in the cargo hold of our plane. 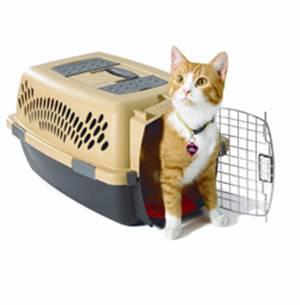 We wanted to give our pets more room, so we opted for a larger-size carrier than would fit under a seat. The cost: Upwards of $400 for two adult cats. Yikes. Yep, it wound up costing us more to send our pets across the country than to send ourselves. 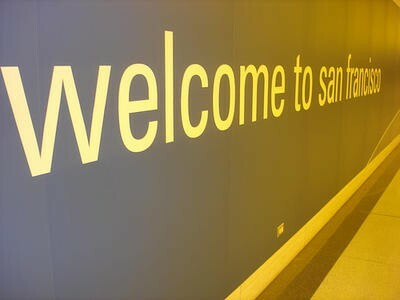 But it’s hard to complain about that one, since it’s probably because we scored a really decent deal on our airfare. We checked all the usual suspects — Travelocity, Expedia, Orbitz, Kayak and Hotwire (most of which have mobile apps), plus a few others — but what wound up being key for us was a SmarterTravel Route Alert I set up. The SmarterTravel website regularly publishes info on airfare deals and specials across a variety of airlines, and by setting up a route alert, it notified me of any promotions or discounts found for my selected departure and destination by pushing them to me via email. 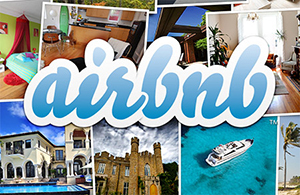 (TravelZoo is another good source for travel deals.) For even more savings, I could’ve hit up Priceline, but not being able to choose our departure times and the locked-in dates didn’t work for us in this situation. Thanks to a sales alert, we managed to snag one-way tickets from New England to San Francisco on a major carrier for about $150 each. Brilliant. So far, everything was going like clockwork. Sure it was a lot to handle, but my husband and I had successfully arranged for the movers, the car transport, the pet transport and our own airfares, almost entirely via computer. A mere 10 years ago, a move like this would’ve had us on the phone constantly, calling this place or that, and choosing service providers blindly. Being able to vet online information, read customer reviews, search the BBB website and even ask pals for advice on Facebook streamlined the entire process. At this point, the moving arrangements were in place. Now we just needed to figure out what to do when we landed on the other side. We were taking a big gamble by relocating to the San Francisco area without having a house or apartment lined up. I never would’ve done this in the past — more likely, we would’ve rented a place in advance, sight unseen — but we were heady with our successes and felt bold with our online skillz, so we decided to push the envelope and see what we could dig up once we landed. What we did do ahead of time was secure temporary housing. And for that, AirBnB really came in handy. (It sure beats staying in a motel for a month or two, I tell ya.) Online and via the mobile app, we were able to search places in the Bay Area and filter the results based on location, price, whether it allows pets, has a kitchen and more, and secured a spot to call home for the first month. Also in advance, we signed up at Getaround.com. Car-sharing services like this have been pretty trendy lately, and since our own car wouldn’t be arriving immediately, we decided to go for this to fill the gap. It was, in a word, awesome. We searched the website to find a vehicle that was in walking distance of our AirBnB place, and because we could rent it for $8 an hour (some for even less), the cost was almost laughable. Within a few days, our car arrived and the movers put our things into storage, as instructed. We got over our jet lag, and immediately set about apartment hunting. I feel bad for people who live in areas where Craigslist isn’t strong. Out here it seems to be the way to apartment hunt, and it made life a lot easier, since we didn’t have to scour numerous sites and papers. And boy did we hit Craigslist hard. Maybe too hard. 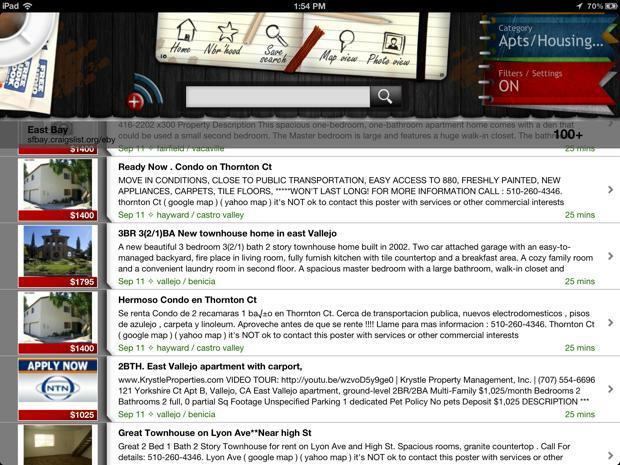 After a while, the text-based listings started boggling our eyeballs. The Yelp, Zagat and Seamless apps were also key during this period of time. There are few things worse than apartment-hunting on an empty stomach, so we fired up Yelp and Zagat when we were on the move, looking for decent places to eat. And Seamless rescued us after a long day, when we needed to find restaurants to deliver morsels to our weary selves. 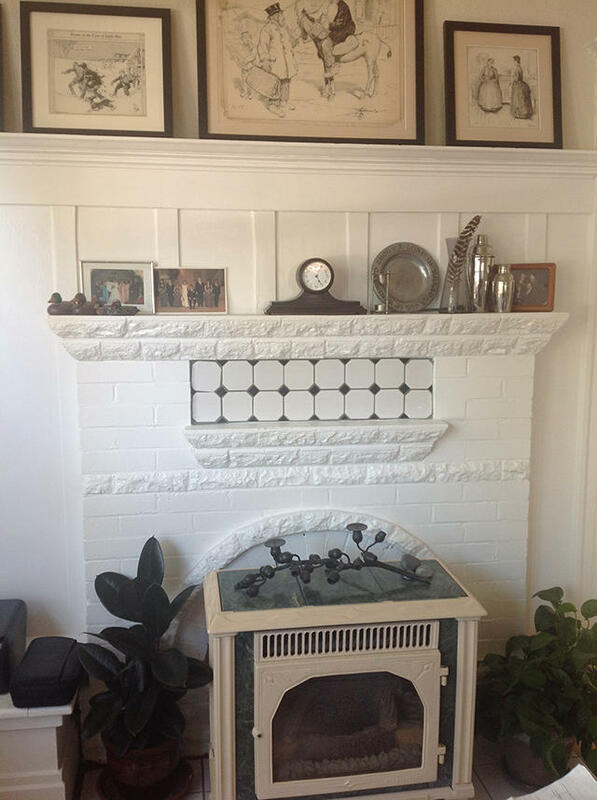 And ultimately, we found the perfect apartment: A spot in a historic Art Deco fourplex in the East Bay, complete with lemon trees, apple trees, fig trees and the nicest landlords and neighbors we could’ve hoped for. Before I wrap this up, I have to talk about the gear. Of course I do; this is a tech blog, after all. And there were definitely some products that helped tremendously during this crazy transitional period. Obviously, our smartphones, tablets and laptops were crucial. Practically everything we did — from research to reaching out to contacts and more — was done with our gadgets. And so we were armed with iPhones, Android phones, iPads, a mobile hotspot and a laptop at all times. These were the fundamental essentials. There were also a few other items that we relied on during this time and even after we moved in. Thank you to these manufacturers for supplying these products and letting me road test them during an admittedly tough real-world use case like this. The super skinny form factor had me at hello. 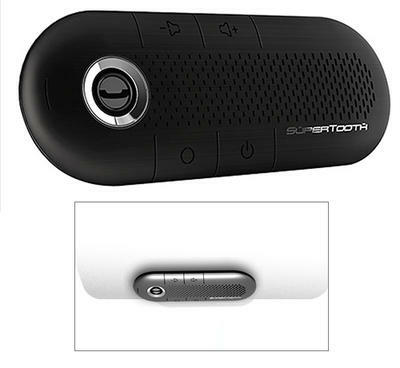 The SuperTooth Crystal bluetooth speakerphone is so small and light, it was a no-brainer to stuff this into our carry-on bags. And good thing too — in California, it’s illegal to use a mobile phone while driving unless it’s hands-free (and the driver is over 18). This clip-on bluetooth device came in seriously handy for us, as we were on the move constantly, checking out apartments and running errands, while return calls were ringing up our phones like crazy. The battery life (20 hours talk, 40 hours standby) was extremely good, calls were crisp (in both directions), and its convenience features rocked: SuperTooth not only pairs with two different handsets, but it also features an advanced Bluetooth profile that auto-connects paired devices. It even has A2DP support, for pumping out smartphone GPS turn-by-turn directions, as well as music. Speaking of music, I have to be honest — music audio sounded pretty tinny and definitely can’t beat the likes of, say, FoxL. But it was still nice to have it as a secondary bonus feature on top of its primary strengths, and all for just $69. In the first weeks after we moved into our new apartment, I had an accident involving a box-filled room, my cat, my laptop and a glass of soda. Yes, it was exactly what it sounds like — I had a computer float on my hands. While I waited for the repair, I was relegated to using my iPad as a replacement computer… and this dock helped tremendously. Seated in the cradle, the iPad was held up to eye height — which alone made a big difference in my perception of the device — and the integrated keyboard was incredibly useful for writing articles and doing other work. And the fact that it doesn’t Bluetooth meant that I didn’t have to worry about the battery life pooping out before I was done working. But all that pales in comparison to the audio. The built-in speakers produced excellent sound, whether for music or for watching videos. There’s even a remote control that let us sit back and enjoy the streaming — which was key, since our cable guy couldn’t come to the house immediately. At $149.99, the price might seem a little steep, but this dock transformed my tablet into a better replacement for my computer, my television and stereo system. With the iLuv app, it also gave us a weather station, alarm clock and Internet radio station, in one package. Now, if the Apple announcements do involve a hardware change, I don’t know if iLuv is planning on updating this product or releasing adapters, but I fervently hope so. 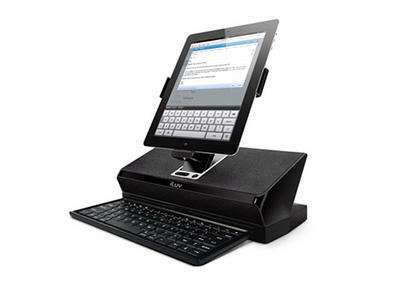 If not, well, there’s always the Samsung Galaxy Tab–compatible dock. [UPDATE: Apple did indeed change up the 30-pin dock connector, at least on the iPhone 5 and iPod Touch 7th gen. And given that, it’s pretty certain that the next iPad will feature the new Lightning port too. After-market third parties may or may not offer Lightning-to-30-pin adapters, but for its part, Apple will be offering them for $29. You can read more about it here. As I said, we found the perfect apartment for us, and we loved everything about it… except the cellular dead zone inside. Thank goodness for the Panasonic Link2Cell. Like a lot of people these days, we decided not to go for a landline phone and instead rely on our cell phones, only to discover that our reception was atrocious indoors. And so we did the last thing that made sense — we plugged in landline telephone equipment. 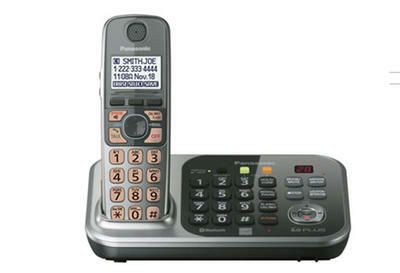 But this was no ordinary cordless phone. The Link2Cell can also connect to cell phones (up to two) via Bluetooth. This is huge. Suddenly, we could leave our phones in the one spot in the apartment that got some bars, and just use the Link2Cell throughout the place. It connects to the addressbook of the phones, making dialing a breeze, and it also auto-connects, so we don’t have to re-pair it each time we enter the house. And dare I say, cellular calls even sounded better on this equipment. That isn’t my imagination — that’s due to the DECT 6.0 technology on board. And it’s an expandable system, so you can add more handsets to cover a larger home. I could see this $69.95 product being a nearly perfect alternative to pricey femtocells for a lot of people. (Femtocells are devices that basically use a broadband internet connection to create a mini cell phone tower in the home.) And it offers the familiar form factor of a traditional cordless phone, which is fitting, since it also simultaneously supports regular landlines. If you’re interested in something a little more “smartphonesque,” however, be sure to take a gander at the coming Phillips S10. So that’s our epic cross-country relocation. And now, at the end of this journey, all I can say is, “Thank you, technology!” I don’t know how anyone conducted major moves like this before online resources, apps and related products were widely available. Of course, people did — but it took months, maybe even a year, to wrangle all those details. Thanks to our modern conveniences, we managed to get through the whole thing pretty efficiently. We hired our mover in March, left our New Hampshire home at the end of April, found the new apartment in the East Bay in mid-May, and moved in at the beginning of June. Sounds like a whirlwind of activity — and it was — but we made it through in one piece. And if we can do it, anyone can. It just takes patience, diligence and the right tools. Have you ever made a major move? Got any indispensable advice or resources to share? Tell us about it in the comments below.